WWII. The Gun and Carridge with moving parts, for animation scenes. thistledownsname (3 years ago) Inappropriate? 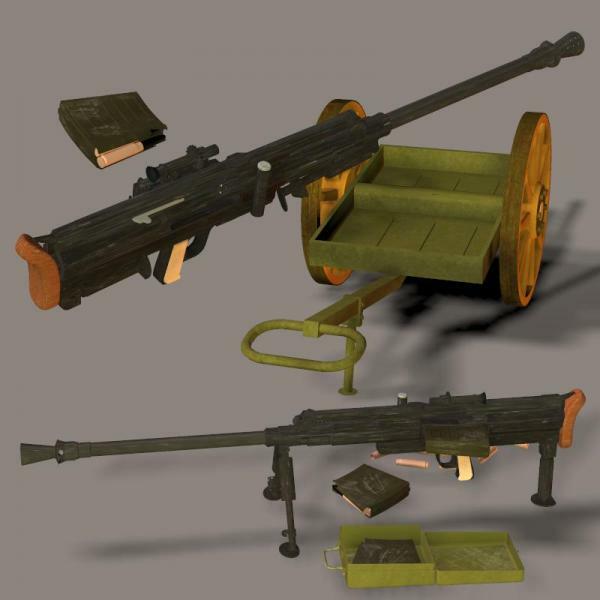 The ammo props work fine, but the gun and carriage load with no geometry. First it can't find the geometry file - easy to redirect. But even then it loads as a null object. carollee (3 years ago) Inappropriate? DrLincoln (4 years ago) Inappropriate? Chromium (5 years ago) Inappropriate? Downloaded, and rated with thanks. Bunyip02 (6 years ago) Inappropriate? Excellent work once again. !!!!!!!! Spike1960 (6 years ago) Inappropriate? mac2010 (6 years ago) Inappropriate? Immaculate detail as always. Nice one, Cheers!!! Skelch (6 years ago) Inappropriate? This is very nice thank you so much!